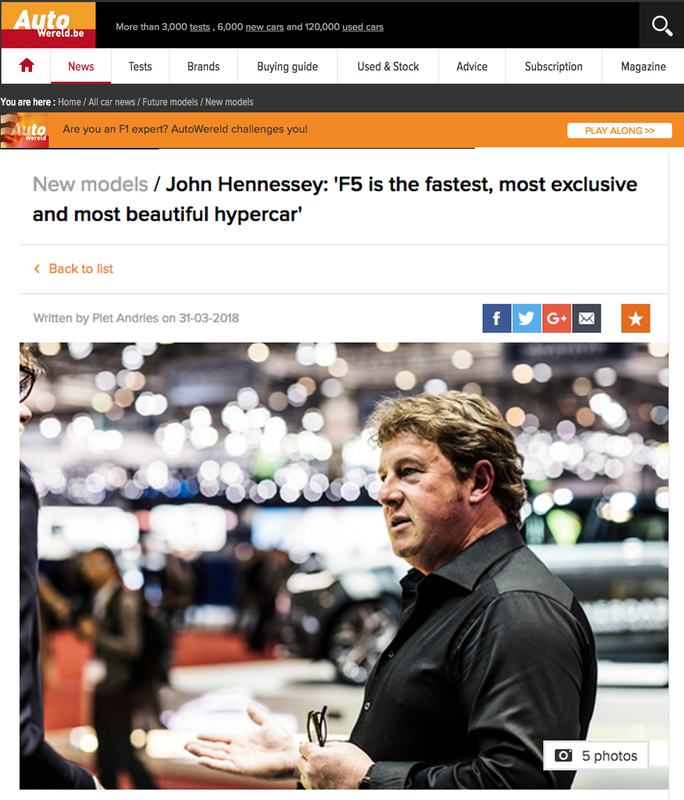 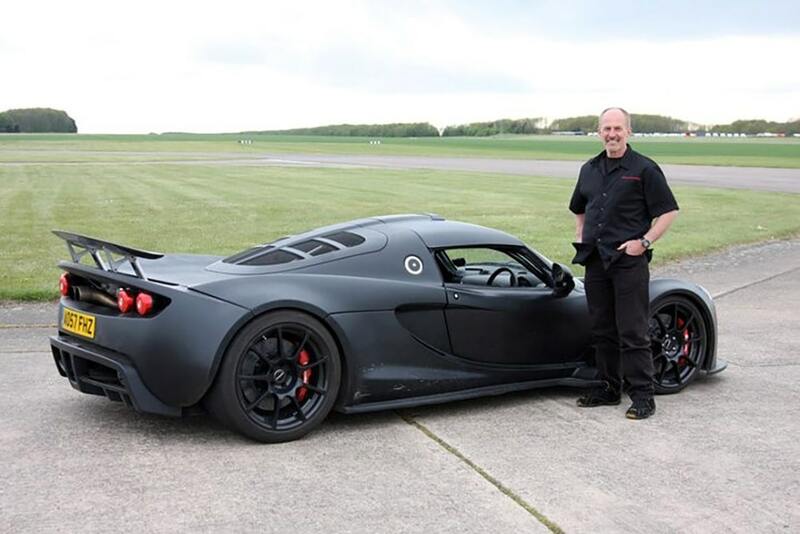 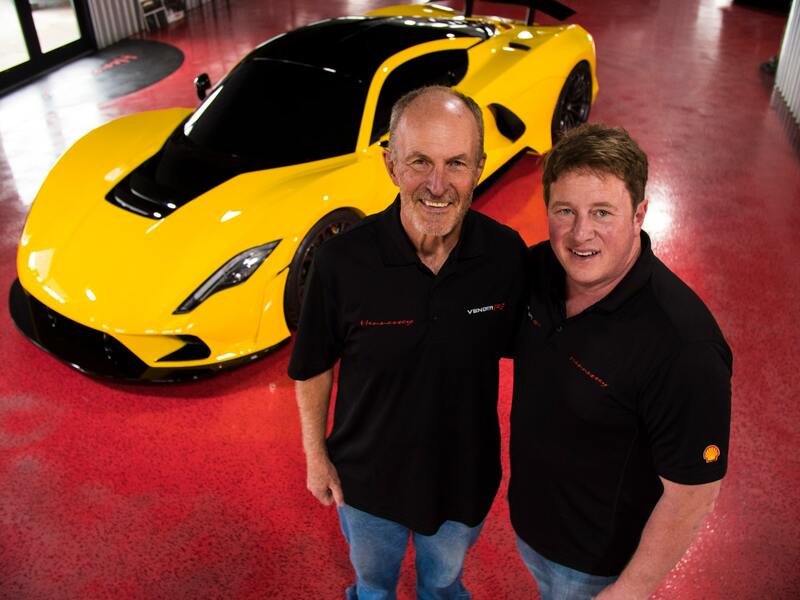 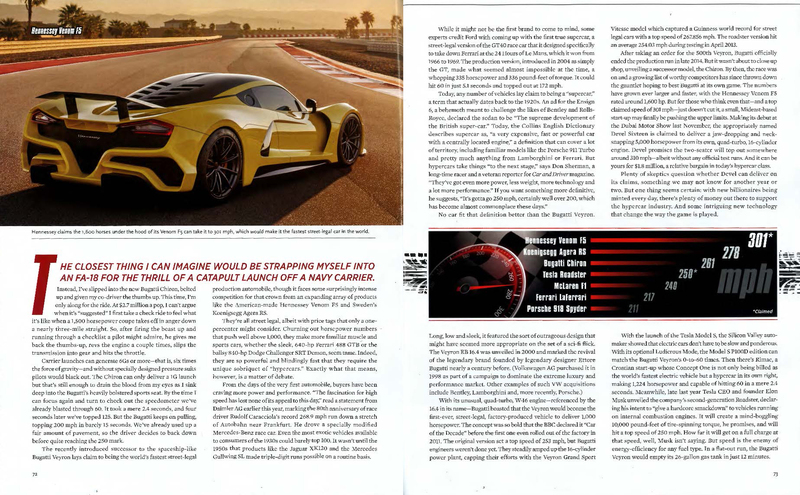 John Hennessey Discusses The Venom F5 With AutoWereld. 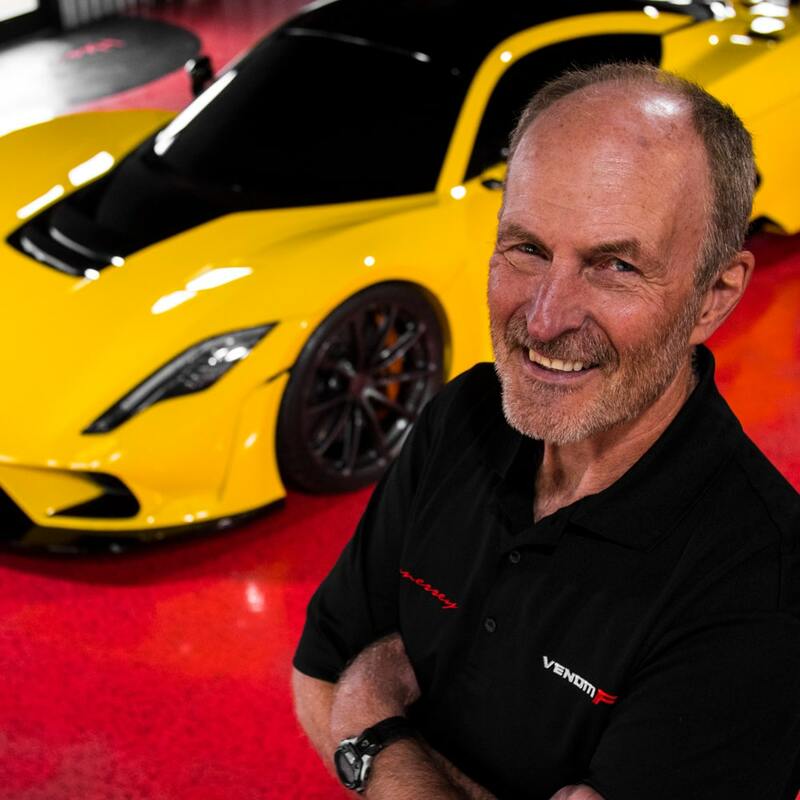 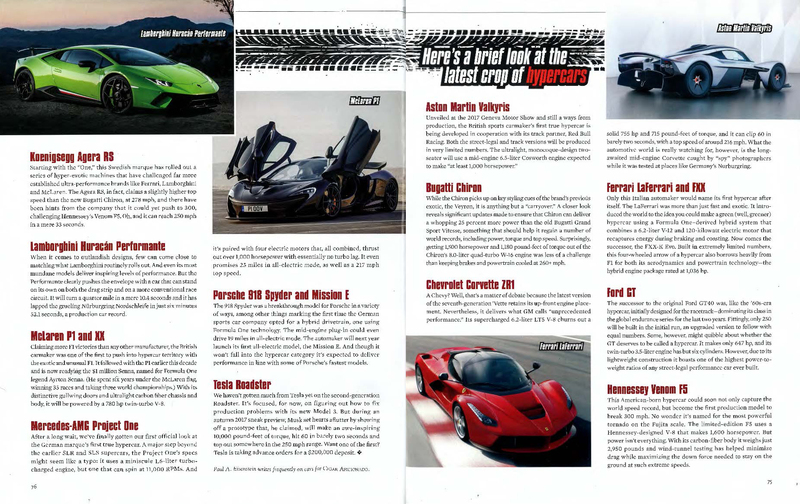 John Hennessy spoke to us about the Venom F5 and how it’s continuing to take on the biggest names in speed. 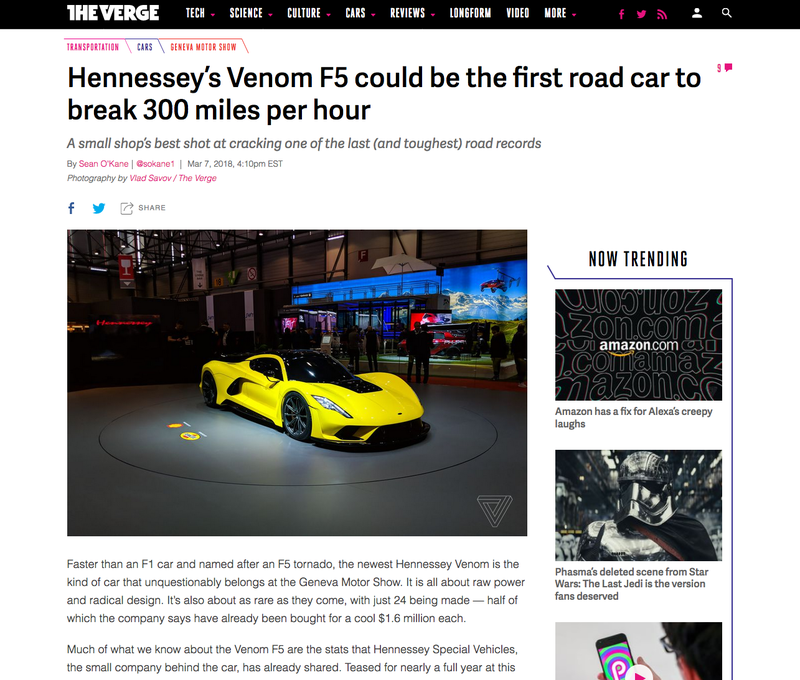 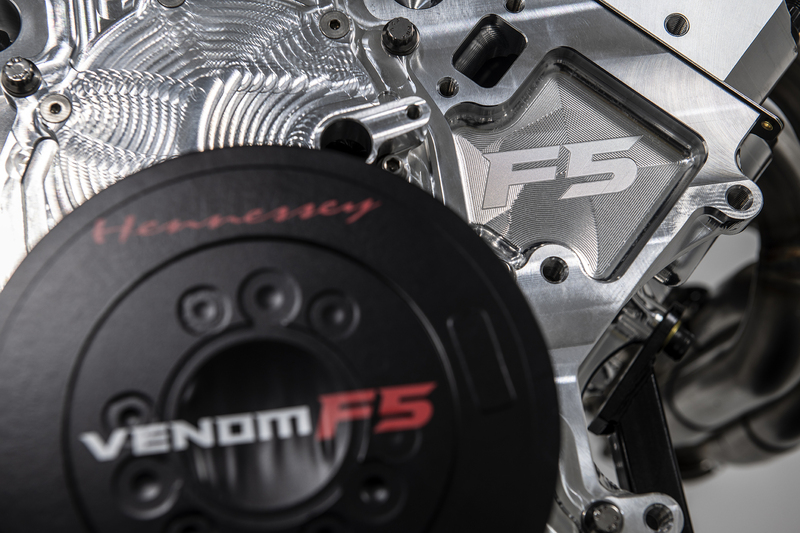 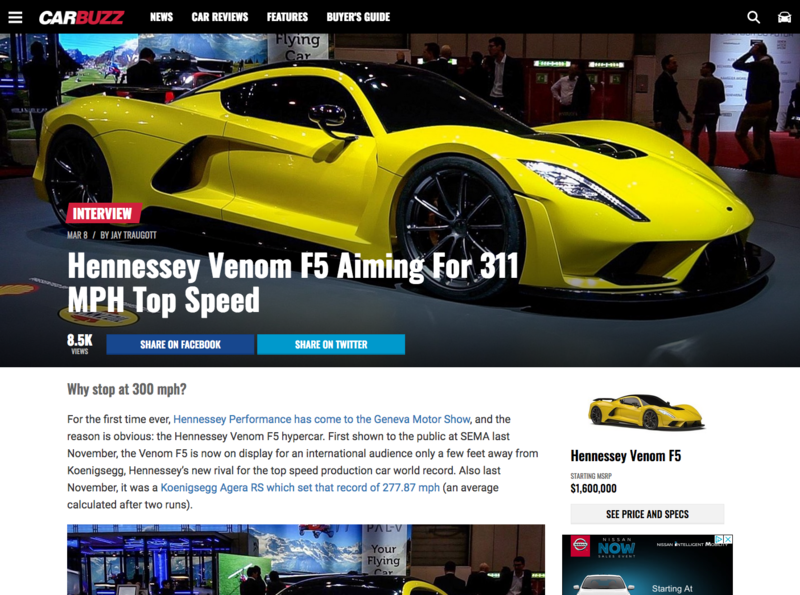 New details are emerging from Geneva about Hennessey’s ambitions to claim the record for world’s fastest car, including the V8 powertrain that will drive the upcoming Hennessey Venom F5 toward its promised 301 mph top speed benchmark. 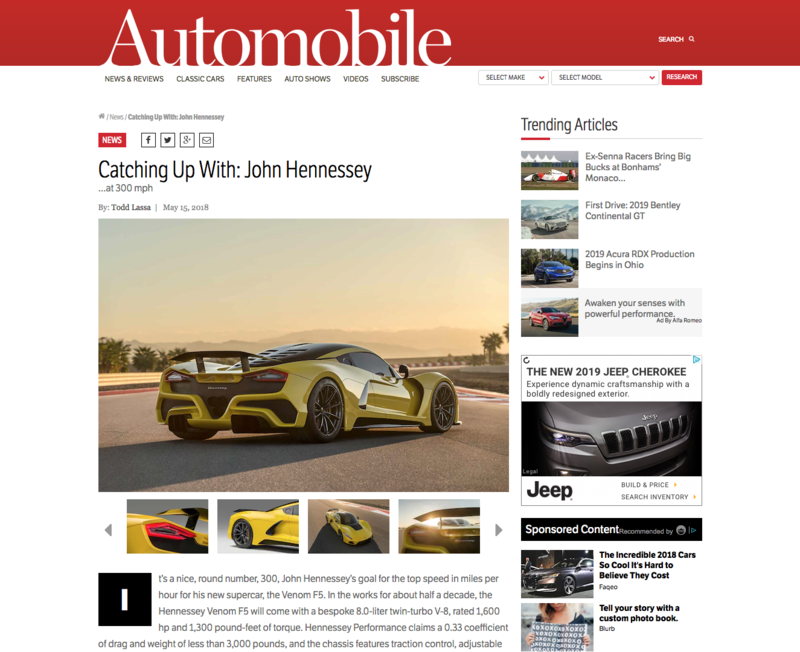 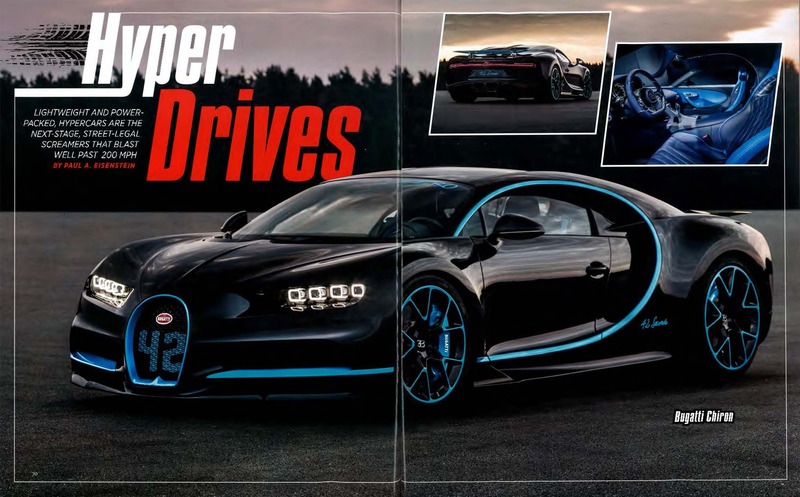 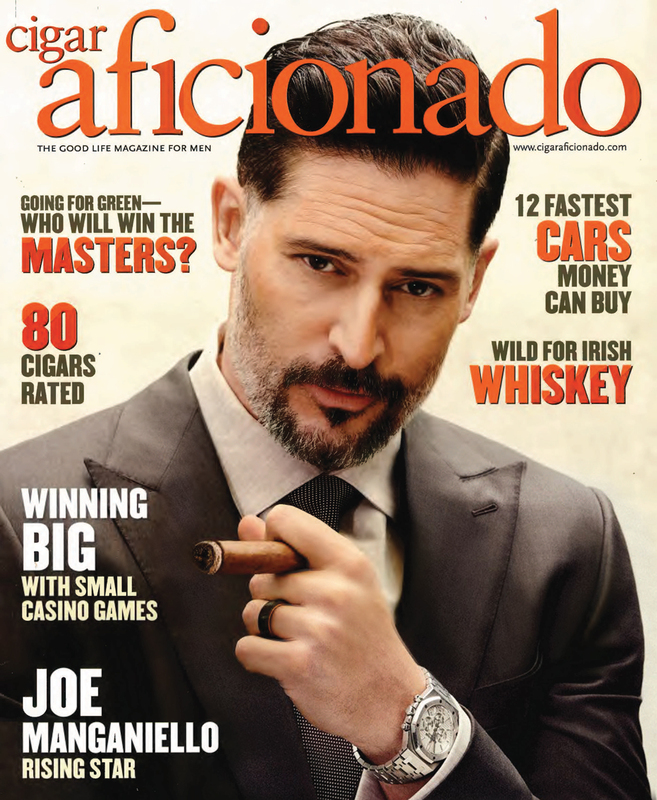 Continue reading Autoblog’s article on their website. 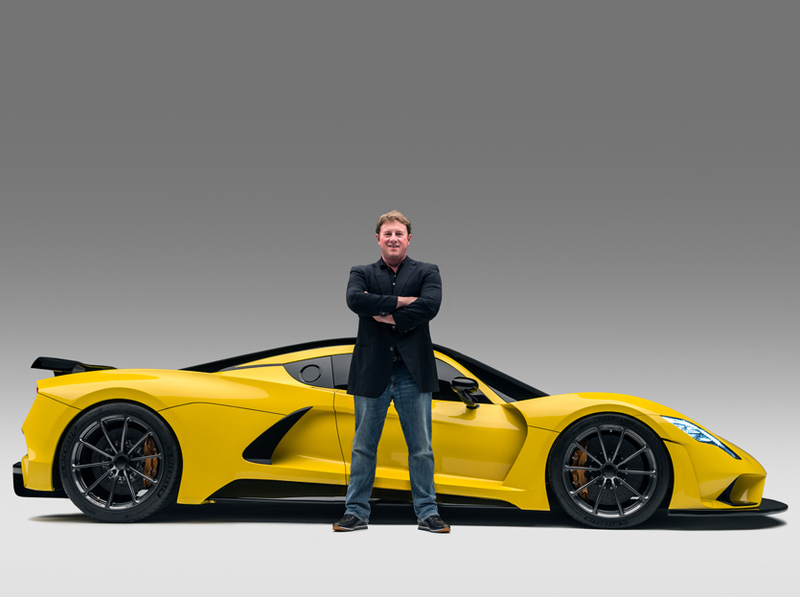 The Hennessey Venom F5 arrives with the intention of hitting 300mph and who better to give us a guided walkaround than John Hennessey himself! 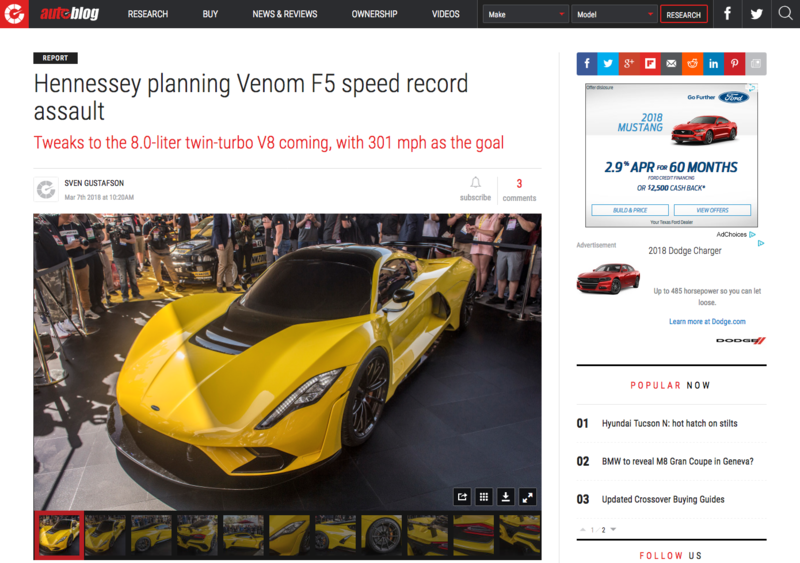 Taking a look around, we can get a scoop on some interesting numbers that’ll be behind the Venom F5.